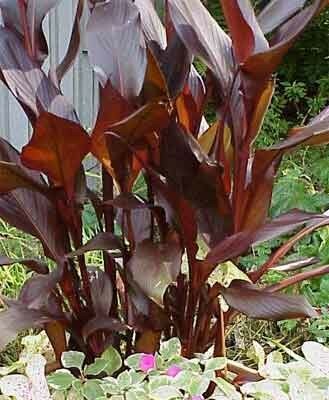 Semi-aquatic "Feurzauber" forms a tight tall 5'+ clump of very stunning burgundy black leaves topped by petite scarlet (fading to salmon) flowers. 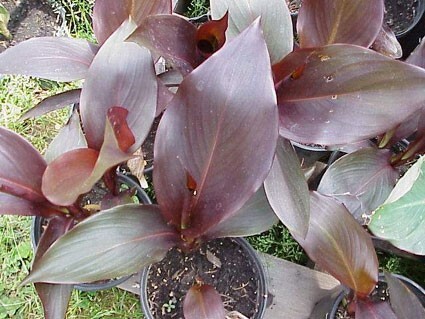 Does well as bog or container subject (especially as does not go dormant), maintaining dramatic burnished chestnut foliar color even in high shade. 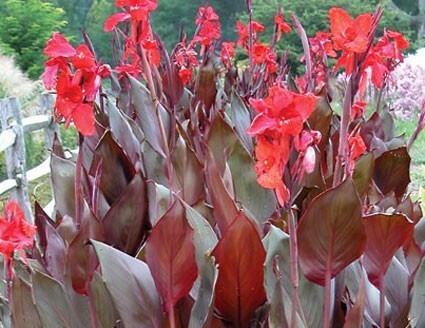 Outstanding in the summer bed to enhance the golden foliar colors of such as Canna 'Bengal Tiger.' 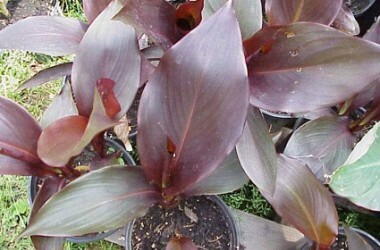 Originated at the Podgora Gardens, New Zealand.